Instagram nowadays has gained immense popularity for introducing the filters and Stories feature to its platform. The feature similar to Snapchat is highly acclaimed by the users who are having a lot of fun recording videos with different animations. 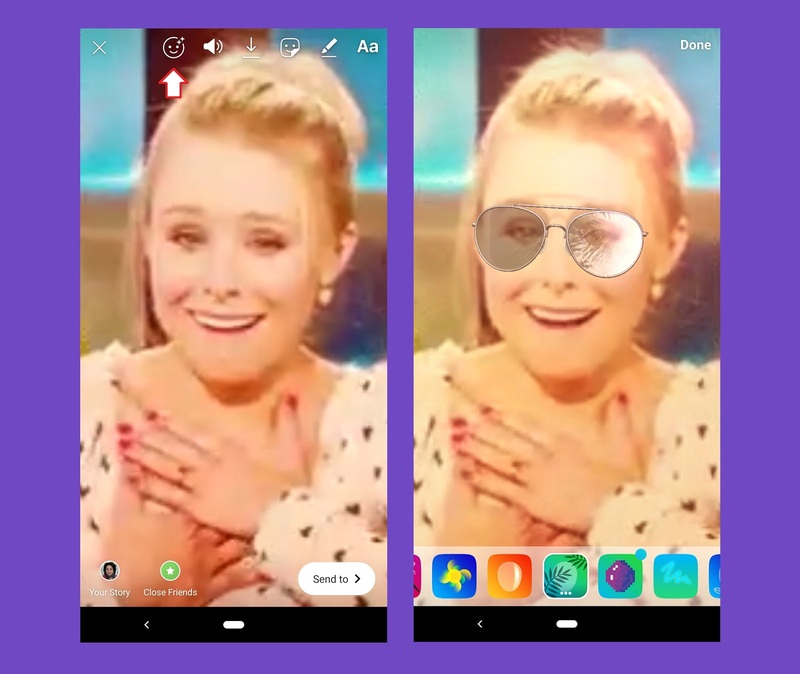 Well, now Instagram is bringing more enhancements to the same feature by giving users the option to use those filters on their existing videos and images. For instance, you have a really cute video of your baby singing a poem and you think you can increase the ‘cute factor’ by adding some bunny ears. Well, now you don’t need to retake such videos to add filters. In fact, the filters can be applied even after you have published the video and image. The option to add filters to existing media files started showing up a few days ago and according to our research – the same is available on most devices and app versions. To use the option, simply upload any photo or video in your Instagram Story and tap the smiley face icon (with 2 plus/star sign on top). This will take you to a filter-picking screen where you can choose any animation and apply it to the existing video/image. Unfortunately, the filter choices are limited for the previously taken shots. But the traditional glitter, sparkles, bunny ears, and more are still available. Give them a try and let us know how your photo turned out.